Marriott International revealed that it is opening three new properties in June, all in Doha, Qatar. Two of the properties will be hotels: the Renaissance Hotel and Courtyard by Marriott, and the third will be an apartment community: Marriott Executive Apartments Doha City Center. All three will be part of the Doha City Center Mall development and will open by the end of the second quarter. 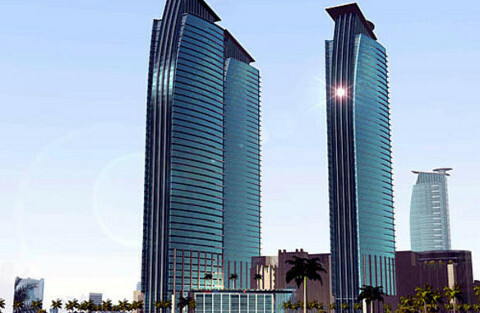 The hotels will be located within two 48-story towers across from the Qatar Financial Centre (QFC). The complex will be linked to the mall for easy customer access, and all three will include entertainment options, a vitality health zone, and nine food and beverage outlets. The Renaissance Doha City Center will have 257 rooms and suites, and the Courtyard by Marriott Doha City Center will have 204 rooms. The Marriott Executive Apartments provide apartment-style living with the comforts and convenience of hotel service for travelers who are on extended stays in Doha. It will have 123 serviced apartments. “We are excited to introduce a unique collection of Marriott International brands in Qatar, emphasising the growing importance of Doha as an emerging destination,” said Oliver Kahf, General Manager. 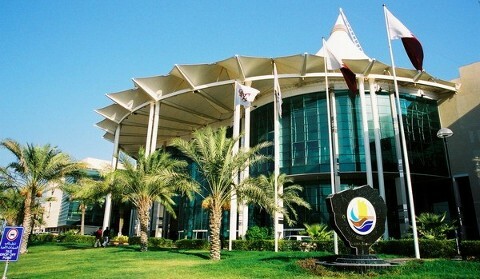 Qatar will host the World Cup in 2022 and has been beefing up its commercial property offerings. This 3-in-1 Marriott deal will give the city of Doha a big boost, connecting its shopping, culinary experience, and temporary accommodations. Marriott International, Inc. owns and/or operates approximately 3,150 properties throughout the United States and 67 countries. Marriott owns several brands, including Marriott Hotels & Resorts, Renaissance Hotels, Ritz-Carlton, Courtyard by Marriott, and several extended-stay options, including Marriott Executive Apartments.